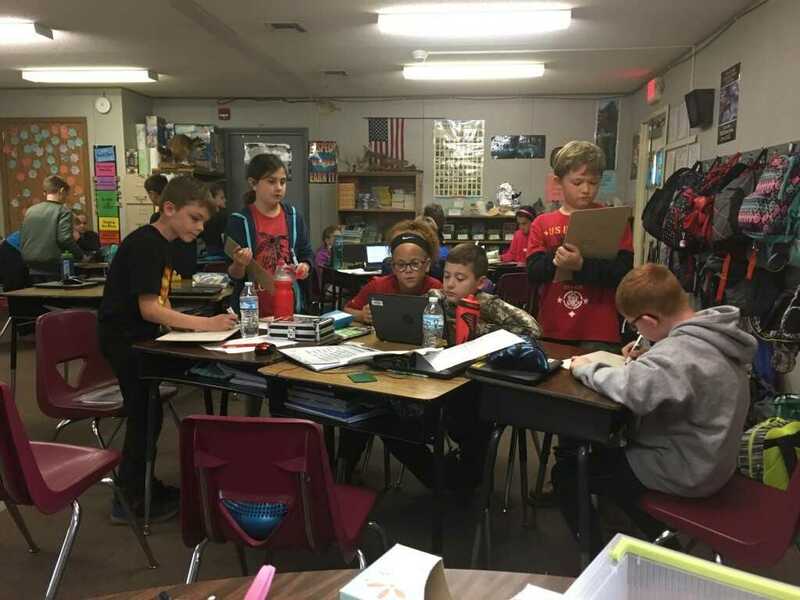 For the current school year, Logan Elm Locals Schools have embraced Problem Based Learning (PBL) with much enthusiasm and energy as part of a county-wide initiative in conjunction with Pickaway WORKS. Problem Based Learning, sometimes referred to as Project Based Learning, gives students the opportunity to work on a project over an extended period of time and involves solving a real-world problem or answering a complex question. At the conclusion of the project, students demonstrate their knowledge and skills by developing a public product or presentation for a real audience. 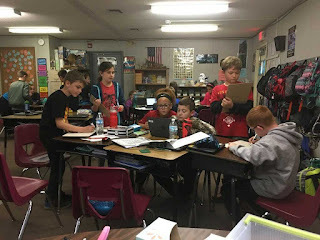 Logan Elm chose to take unique approach to PBL this fall, by partnering with local businesses and organizations, allowing students to research a real-world problem with a local connection. 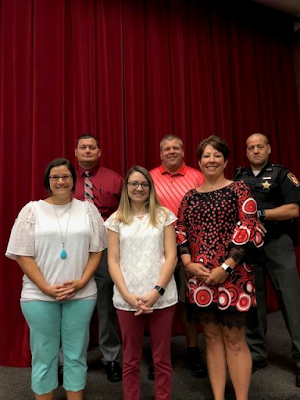 Amy Colburn, Logan Elm’s Curriculum Director, arranged for teachers of all grade levels to meet with representatives from local businesses and organizations in August. Once partnerships were formed and a problem was selected, teachers presented the problem to their students, who then researched the issues, created possible solutions and presented their final project or solution. Second grade students at Laurelville and Pickaway partnered with the Pickaway County Visitors Bureau. Tim Wilson, from the Visitors Bureau, indicated that the PCVB is in need of developing a flag more representative of the entire county...not just Circleville. Second grade teachers, Vickie Jones, Shelley Rhoads, Tammy Sharb and Tammie Wooten, spent time talking to their students about the importance of a flag and what a flag represents. Students then researched the history of Pickaway County, took field trips around the county and interacted with several guest speakers, included Rod Smith, retired teacher and local historian, and Logan Amvets Honor Guard members Squeak Cunningham and Jim Mock. Gathering all the information they learned about flags and Pickaway County, students then created mock ups of a new flag for the Visitors Bureau. Second graders will present their flag design to a panel from the Pickaway County Visitors Bureau, teachers and administrators in a formal setting at Ohio Christian University in early December. In order to practice their presentations, Pickaway’s second grade students presented their flag designs to members of the Logan Elm Board of Education at their November meeting. At Washington Elementary, fourth grade students of Jennifer Petty are working with Michael Linton and Rana Reeds of Accurate Heating and Cooling. Students will research and layout the HVAC, plumbing, and electrical plans for a simple ranch home as well as look at marketing such businesses. Mr. Linton and Ms. Reeds visited the class to discuss different systems for heating and cooling homes. Students also studied and compared the heating and cooling systems in their own homes. Salt Creek Intermediate students are working with Joshua Hambrick of Kingston National Bank. Mr. Hambrick met with sixth grade students of Susanne Hardin, Stacy Herrel, and Susan Love. He discussed the five most important pieces of a Bank Teller Training and asked the students to plan a training schedule for the bank tellers. As students were planning, they needed to think what percent of the training should be used for each of the important pieces. Students also held mock interviews during which they interviewed classmates for the position of a bank teller. At McDowell Middle School, Traci Wilson’s math students worked with Jennifer Rainey and Jeff Farthing from The Savings Bank in Circleville. The 8th grade classes researched ways to save 20% (or more) on Shred-It Day spending; Shred-It Day is a community event The Savings Bank puts on every year in May. Students worked in small groups then presented their findings to Ms. Rainey and Mr. Farthing via slide show presentations and/or poster presentations. Overall, students enjoyed the project. They liked solving a "real-world" problem and enjoyed having the community members come in to see their work. Student Jennifer Van Gundy said, "I liked the freedom of being able to choose what to focus on for the project, I liked having options." Kyle Kelley reported, "I thought it was neat that we were working to help the bank, then liked that they came back to hear our suggestions"
Logan Elm High School students in Holly King’s classes partnered with Michelle Callahan of the Pickaway County District Library. The students analyzed the Library’s use of social media and determine ways the Library could improve in this area. They provided direct feedback when Ms. Callahan visited their classes. 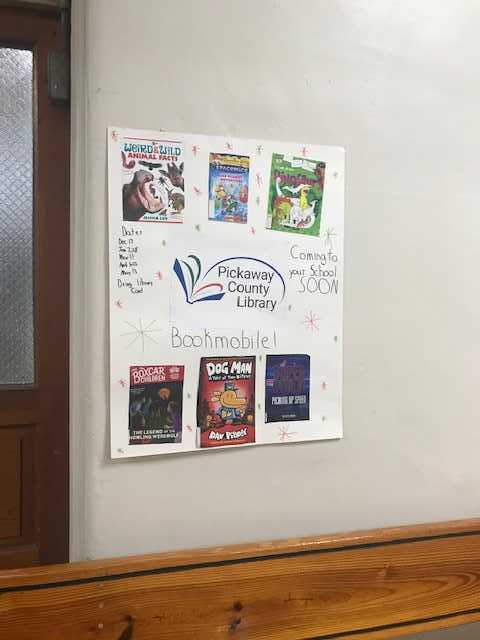 Another group of Ms. King’s students studied advertising and then made posters promoting the Library’s Bookmobile service. The posters are displayed at Washington and Pickaway Elementary schools. 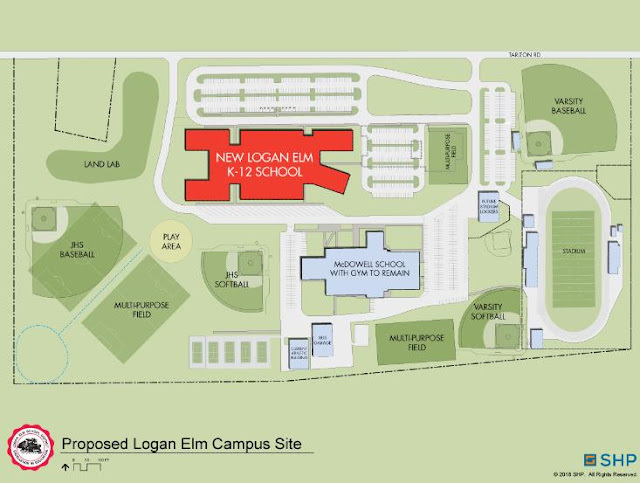 Other business and community organizations involved with Logan Elm’s Problem Based Learning this year include Berger Health Systems, EG Industries, George and Son Construction, OMJ Pickaway, PICCA, Pickaway SWCD, ProLogistix, Rhoads Landscaping and Ohio Means Jobs. Michael Linton and Rana Reeds of Accurate Heating and Cooling talk with Washington’s 4 th grade students about the different types of heating systems. 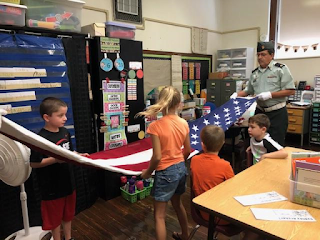 Logan Amvets Honor Guard members taught Laurelville’s 2nd grade student the history and symbolism of the American flag. Students also learned how to fold the flag. A group of Washington 4th grade students work cooperatively to solve a real-world problem— How to heat and cool a home efficiently. 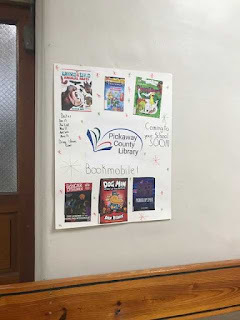 Students at Logan Elm High School worked to create posters advertising the Pickaway County District Library’s Bookmobile. Rod Smith, a retired teacher and local historian, spent time with Laurelville’s 2nd grade classes at the Logan Elm Park. Students learned about the significance of the Logan Elm tree.